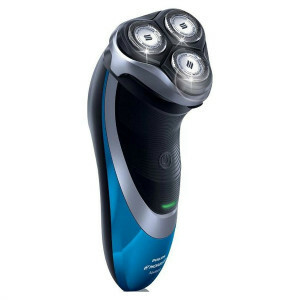 Philips Norelco 4500 Review – Best Mid Range Shaver? Philips is a very respectable brand, known for their superior digital appliance quality. They have a long standing in this world, especially for their adaptive and intuitive designs (check out the Philips Oneblade as an example of unique design) that work seamlessly, enabling the user to go above and beyond ‘the norm’. You will find from other users’ Amazon reviews that most would recommend this shaver, the Norelco 4500, since it gives a good shave and is very reasonably priced. Looking at the features, it really can be easily seen why this shaver offers very good value for money, incorporating many higher-end products’ features into a low budget shaver. However, the question we want to answer is …. does it measure up? Often, shavers that aim to tick the boxes of higher-end products end up falling short – we need to look into the details. Does the Norelco AT830 compare favourably with its fellow low-budget shavers? Well, the answer is a resounding Yes and we will show you why, however before we dive into the detailed review, let’s check out the summary box. Philips’ first bonus is the aquatec technology that comes as standard with its shavers. This not only allows the shaver to – like many of its fellow shavers, such as the Remington XR1370 or the Braun Series 7 790cc – give wet and dry shaves, but it also means that the shaver is actually 100% waterproof. This doesn’t only mean that you won’t get a shock if you accidentally drop it in the sink or the bath. Nor does it simply mean that you can achieve a wet shave without having to turn to a razor blade. Its biggest implication is that it can be rinsed in its entirety under running water. Cleaning is, therefore, as easy as a quick dunk. Many shavers have found it difficult to adapt to the contours of the face – with limited flexibility and contour adaption, many leave the face irritated, cut and with a few stray hairs. However, Philips’ DualPrecision cuts both longer hair and short stubble, its flexing heads adapting automatically to every curve of your face and neck. This Dual Precision incorporates Super Lift & Cut, a technology that lifts hairs that lie level, cutting perfectly even in trouble areas. The charging unit for this shaver is on a par with many higher-end products: not only does it promise a full charge in only one hour, delivering 50 minutes of shave time, it also incorporates a Quick Charge. Like the Braun Series 7 790cc, the Quick Charge is invaluable. It’s only too often that shavers die mid-shave, leaving the user to scramble for an alternative, praying that half an hour plugged in will allow enough battery juice to cut the last few hairs. However, the Norelco 4500 (AT830 Model) only needs three minutes’ charging to accumulate enough power to finish a shave. Pure magic, and faster than most Quick Charge cycles, too. 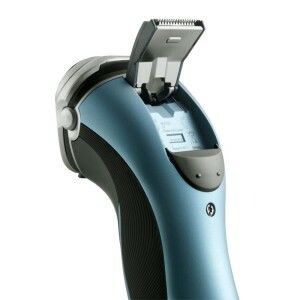 The price tag of this shaver is incredibly low, which places it in the lower to mid-range bracket. Bearing this in mind, the shaver is exceptional value for money – it does what it says on the tin and does it effortlessly. However, the big drawback with the Norelco AT830 is the lack of an extremely important feature, in my opinion. There is no LED display warning you that you’re ten minutes away from a charging crisis, there is no self-cleaning dock, and there is little in the way of visible features to put it in a league of its own, aesthetics-wise. Having said this, it’s not expensive and it’s good at what it does – it’s worth every penny.